In the event that there are readers of this blog who check it more than once a week, I apologize for my current lapse in entries. In addition to my full-time work at the brewery, I am also editing scientific manuscripts on the side, or more precisely, all night when I get home for work. This week has been particularly busy. I am therefore making a quick, but hopefully interesting, post. In Japan, temples and shrines abound, as do the number of gods enshrined within them. 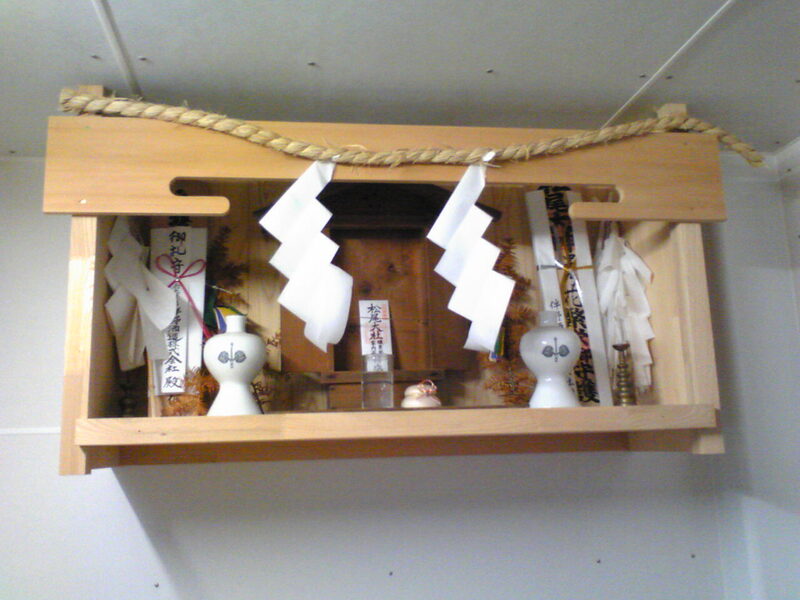 In our brewery (and many others), there is a small shrine dedicated to the god of sake. Every morning, the owner replaces the water in the cup (I thought it was sake at first, but it turns out only at special times does he use actual sake). The shrine is on the 2nd floor outside of the room where koji is made. Interesting, no? The season’s first sake has been pressed and it is now time to start another batch (this will be batch #5). The first step is to make a yeast starter culture, which requires koji, steamed rice, water, and yeast. So the first step in making sake is to make koji (after growing the rice, of course) as it takes about 2 days. Although mentioned before, koji is a mold (Aspergillus oryzae) that when cultivated on rice at high temp (over 30C), secretes enzymes that turn the rice starch in sugar. To make koji, the milled rice (we are using Hitogokochi milled to 60%) is washed for 1 min in a pressure washer in 10kg units, and then soaked for about 10-12 min. Once the rice has absorbed the right amount of water (around 30%), it then allowed to sit overnight. Tomorrow, this rice will put in the koshiki (large steamer) and steamed for about 1 hour. Until tomorrow then. The first two batches of sake (Honjozo) were pressed this week, and some was bottled yesterday to be sold as Nama Genshu (unpasteurized, undiluted sake, 19% alc). Two more batches of Junmai Ginjo (純米吟醸) are fermenting away and will pressed in another 2 weeks. 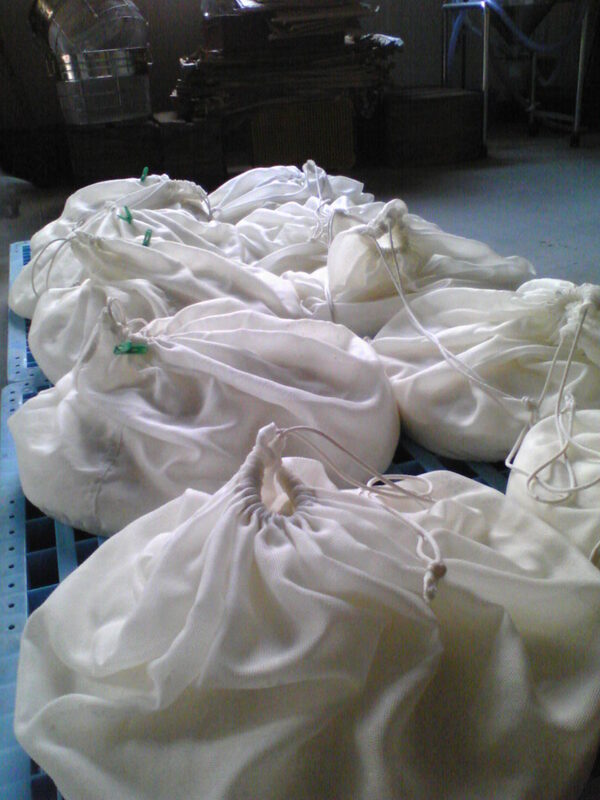 Tomorrow, we are starting a new yeast starter (moto) for the next batch of sake, a Junmai. I will try and take lots of photos and post them here to give a detailed overview of the sake make process- stay tuned! 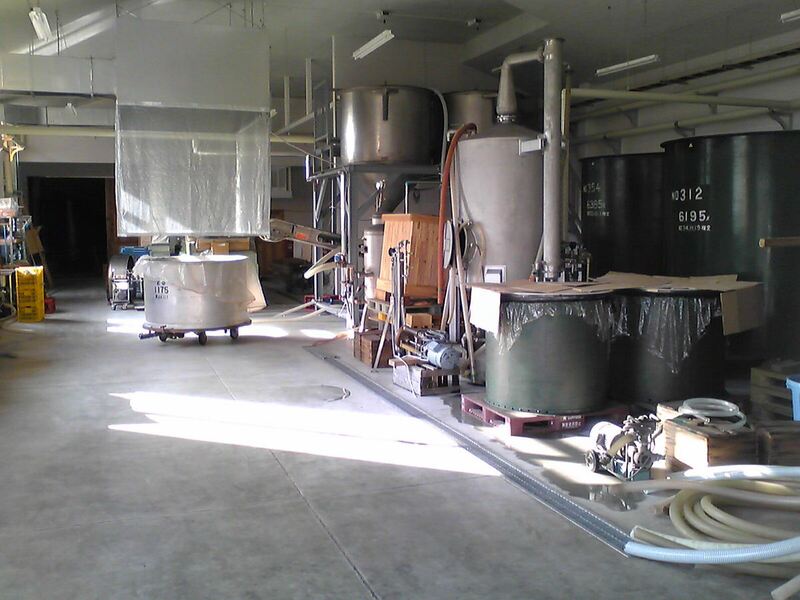 Here is photo from the entrance to the brewery- the circular tank-looking thing on wheels is the ‘koshiki’, where the rice is steamed, and all the fermenting tanks are in the very back, into the darkness. The koji is made up on 2nd floor. The press in the back right corner, not visible here. The bottling is done in a room attached to the brewery, and all the storage is done in the 100-year old building I showed before. This is where it all happens, and where I spend 6 days a week.